Is it possible to test medical tubing for both small leaks and unimpeded flow at a rate of 3.75 seconds per part while also meeting ISO 13485 requirements? 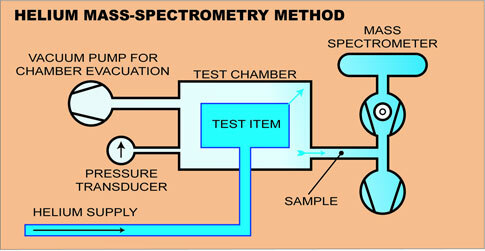 A family of plastic medical tube sets require both leak and flow testing at 62kPa (9 psig) to determine that they function as designed—without significant leaks (detecting leaks as small as 0.1 sccm) and with unimpeded flow rates (user selected 0.4 – 20.0 sccm). Four different tube configurations are to be tested. While quality cannot in any way be compromised, competitive pressures for these relatively low-cost medical products is such that a relatively fast production rate of 16 fully tested parts per minute (3.75 seconds/part) must be achieved. EtherNet/IP enabled InterTech Med75 dual function leak and flow test instruments fully test 16 parts per minute with GR&R of less than 20% in accordance with ISO 13485 Requirements for Maintaining Consistent Quality Systems.